"Good heating bills since we hired Cliff's. Very happy with the reduced cost of running our heat." With the many options homeowners face these days when it comes to making your home more efficient, one of the best solutions is to update your heating and air conditioning system. Cliff’s Heating has been serving and providing energy savings equipment to many homeowners since 1979. Sealing air gaps and cracks in and around foundation walls, window seals, and door jambs is something a homeowner can perform and should check each and every year. You’ll be surprised how a couple of hours and minor cost to seal your home will not only make your pocketbook a little heavier, but your home more comfortable as well. For the more complicated tasks at hand, Cliff’s Heating can handle your furnace and air conditioning system upgrade and maintenance. 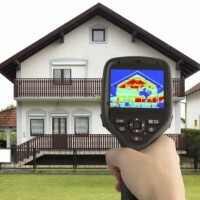 Did you know a programmable thermostat can save up $35.00 annually? Furnace maintenance can save up to 15% annually. These items may be on the smaller scale when it comes to energy efficiency, but will also make your home more comfortable. One of the best options to make your home more efficient is to upgrade your furnace and air conditioning system. Cliff’s Heating has the available options to make this happen, from carrying the most efficient furnace on the market today, extended comfort plans, to a wide variety of financing options. Cliff’s Heating is a proud dealer of the York Brand. York’s Affinity series full modulating variable speed gas furnace was awarded the Consumers Digest Best Buy Seal for five consecutive years in a row. York’s furnace was also awarded by the Environmental Protection Agency most efficient Energy Star coming in at 98.6% A.F.U.E. All of the York products are backed by the Good Housekeeping Seal of Approval and are proudly built in the USA. So why is this important as a homeowner? Some furnaces only have a 60% A.F.U.E rating. Forget ratings, let’s try saving 38 cents on every dollar you spend to heat your home. Now that can add over a furnace’s lifetime. Air conditioners have efficiency ratings too, often referred to as a S.E.E.R rating. We all say summer is only a couple of months long or my home stays cool, but these units consume quite a bit of energy. Typical existing air conditioners have a S.E.E.R rating between 7-10. Trust your York dealer, Cliff’s Heating to provide units up to 18 S.E.E.R. Typical cost savings can range up to $35.00 per S.E.E.R or a couple hundred dollars annually. Cliff’s Heating trusts in the York Products, having over 135 years of design and innovation. The York products have served well in our U.S Capitol building, the entire U.S Navy Nuclear submarine fleet, and the Sydney Opera House. Cliff’s Heating as a Certified Comfort Expert, or CCE York dealer, offers free in home consultations to suit your needs. Contact Cliff’s Heating today to start saving for the future!